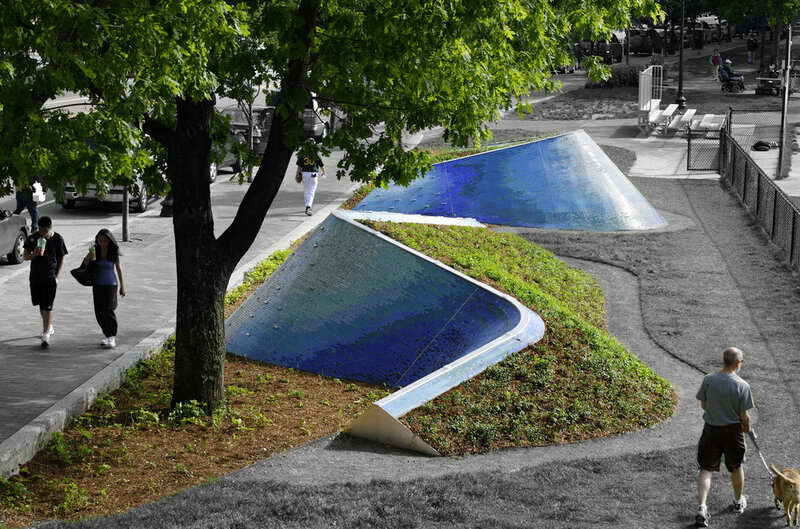 LandWave is a sculptural landscape art project located in downtown Boston. The site follows the historic edge of the Neck, the narrow strip of land that once connected the Shawmut Peninsula (now downtown Boston) to the mainland. In Colonial days, this was the site of the gates to the city. LandWave represents the water that once existed there. 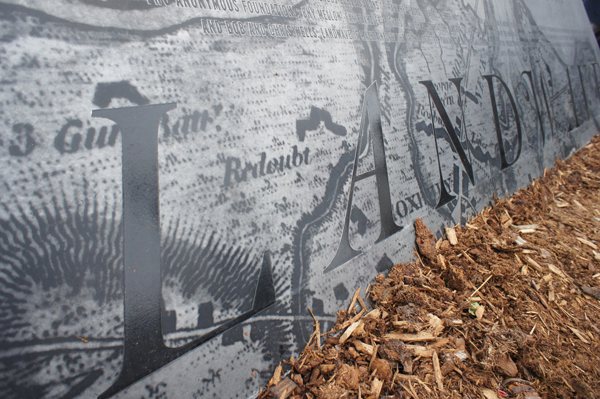 The concept was developed from the story of land-making that created much of the South End. 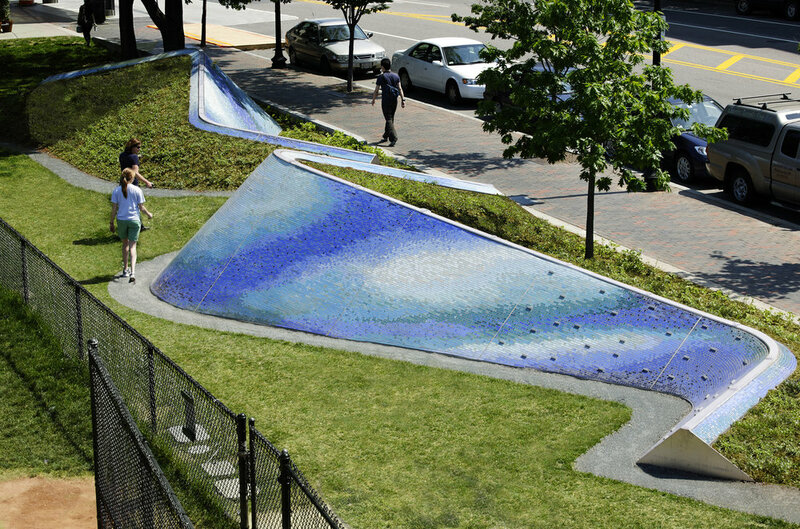 Two twisting wave-like landforms are covered on one side with a green land-like groundcover, and on the other, a range of blue mosaic tiles that emulate the texture and color of a water wave. Metaphorically a wave of land and water. At night, the flowing crest of the waves is traced by a blue LED ribbon. At the end of one wave an engraved stainless plate includes a map of the site as it existed in 1630 displaying the neck in its original supermodel litheness. LandWave is a reminder of both the physical history of the site and the power of the community to shape its neighborhood. The extensive community process and product of LandWave encourages local residents to become even more invested in their community and to maintain and enjoy the integrity of the place over time.